Boxing legend Floyd Mayweather and music producer DJ Khaled are paying a total of $750,000 to settle charges they failed to disclose payments they received for promoting investments in digital-currency securities, federal regulators said Thursday. The SEC said the charges are the first for violating rules on touting investments in so-called initial coin offerings — or ICOs — on three different cryptocurrencies. An ICO allows a startup to use the technology behind bitcoin, known as blockchain, to fund projects. The SEC said Mayweather did not report that he had received $300,000 from three separate deals from that paid him to promote the offerings online. One of Mayweather's promotions was via Twitter, alerting followers that Centra's ICO "starts in a few hours. Get yours before they sell out, I got mine." The boxer has almost 8 million followers on Twitter. "You can call me Floyd Crypto Mayweather from now on," he said in another tweet, according to the SEC. The regulators allege that Mayweather also neglected to disclose that he was paid $200,000 to promote the other two ICOs. Because they did not disclose the payments, "Mayweather and Khaled's ICO promotions may have appeared to be unbiased, rather than paid endorsements," said Stephanie Avakian, co-director of the SEC's enforcement division. Mayweather has settled with the SEC and is cooperating in its ongoing investigation. Under the settlement, Mayweather agreed to pay a $300,000 penalty, give up another $300,000 and pay $14,775 in interest. Music producer DJ Khaled was also paid to promote Centra. Under the terms of his settlement, he will have to forfeit the $50,000 payment he received, plus a $100,000 penalty and $2,725 in interest. Both also agreed not to promote any securities, digital or otherwise, for three years in Mayweather's case and two years for Khaled. 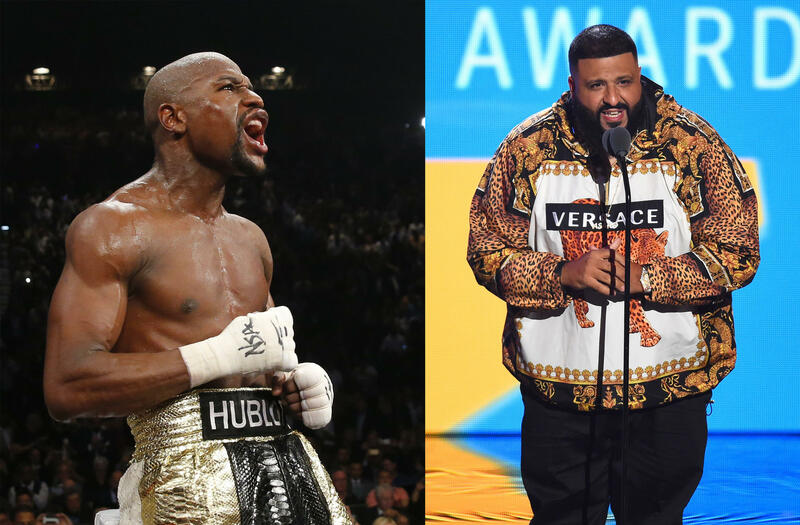 Mayweather and Khaled were among a number of celebrities paid to endorse ICOs, which have soared in popularity in recent years. Kelly Swanson, a publicist for Mayweather, said he likely wouldn't comment on the settlement. Representatives for Khaled didn't immediately respond to messages from the Associated Press seeking comment.